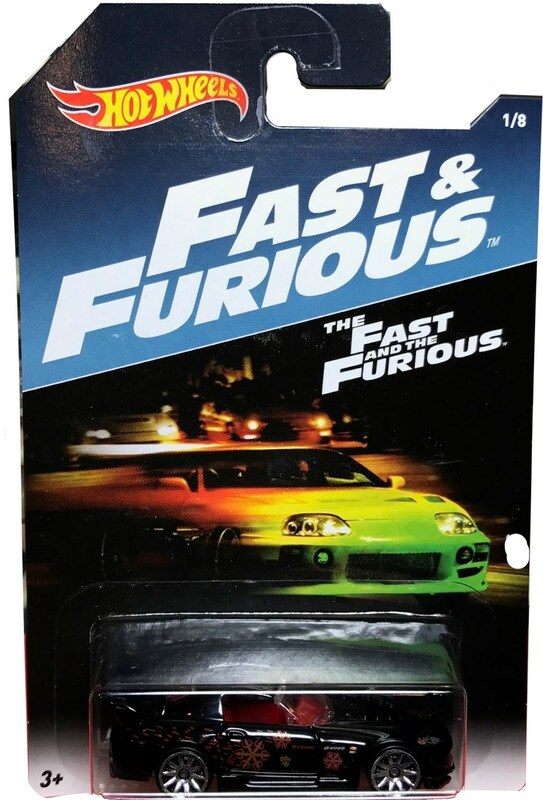 With the 8th movie in this popular series coming out soon and Mattel as the primary licensor will be releasing more new Fast & Furious products. In 1:64 scale Hot Wheels cars look for a special Walmart-only assortment coming in March. Unlike previous sets the 2017 Walmart set will have some favorites and more new decos, including a white Toyota Supra a tribute piece to actor Paul Walker that is sure to be a popular car. Along with that an Entertainment line of models will be released later this year and it looks like the Nissan Skyline GT-R (R34) will be get a metal base for the first time. 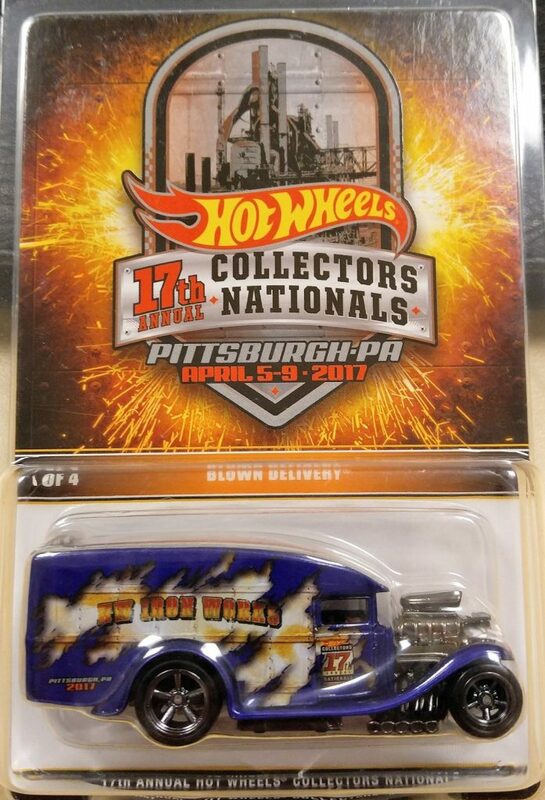 The first souvenir car for the 17th Annual Hot Wheels Collectors Nationals will be the popular Blown Delivery. The event will be held April 5-9, 2017 at the Doubletree in Pittsburgh, Pennsylvania. For more information and first look at the Blown Delivery check in at the Collectors Events Unlimited Facebook Page. The next Kmart Collector’s Day Event is Scheduled for Saturday, February 18, 9AM local time. It seems at this time the 4 exclusive colored cars will be the HW Flames ’55 Chevy, the Night Burnerz’08 Dodge Viper SRT ACR, the HW Hot Trucks Custom ’56 Ford Truck and the HW Art Cars Cool-One. Check back for more updates.